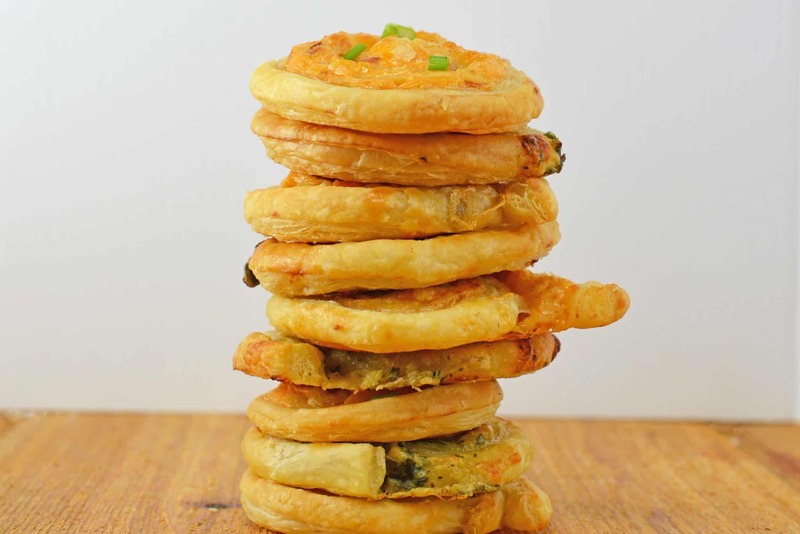 I don’t know about you, but I love using recipes with puff pastry. 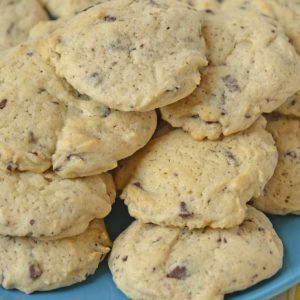 They’re always so easy to make, and so delicious to eat! 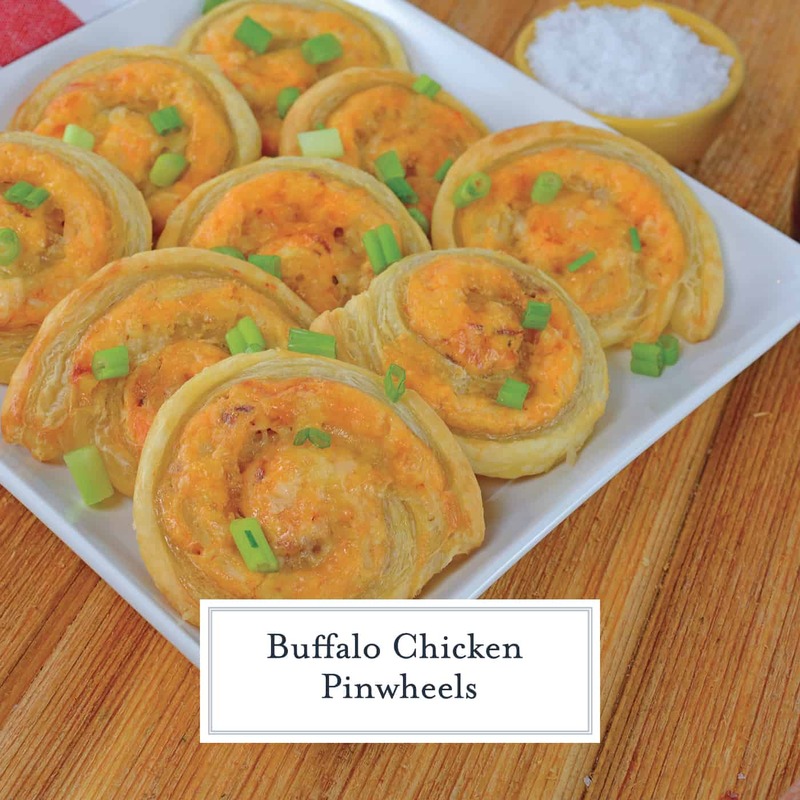 These Buffalo Chicken Pinwheels are perfectly buttery with a spicy kick! Buffalo Chicken Pinwheels are creamy, spicy buffalo dip rolled in buttery puff pastry and baked to a crispy perfection. The moral of this story is that I like to roll any delicious dip recipe in puff pastry, slice it into pinwheels and bake it up flaky and brown. Buffalo Chicken Dip was no exception. Pinwheels bring the best of two appetizer foods- dip and finger foods. A marriage made in heaven. 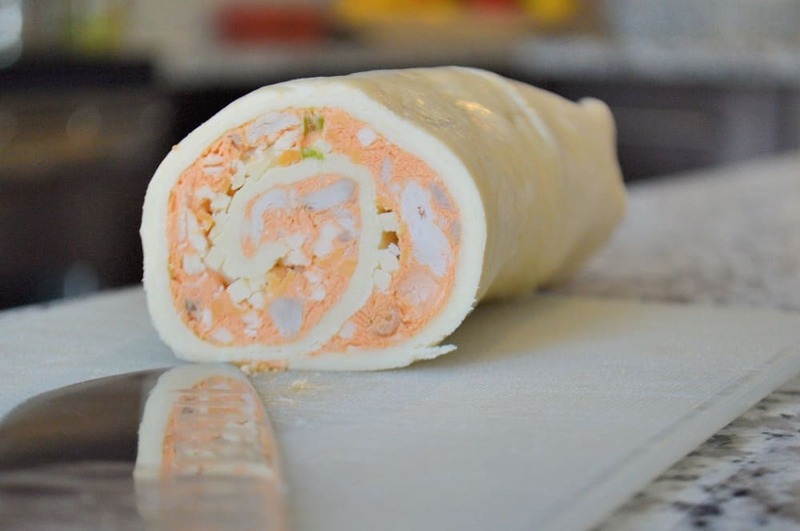 Buffalo Chicken Pinwheels always go over like wildfire in my house. Probably even faster than buffalo chicken dip, seriously. It is just so easy to grab one and go. 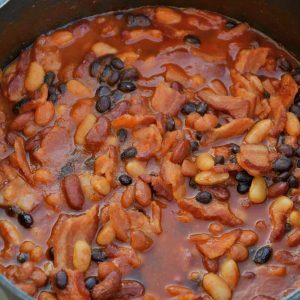 They are ideal for any season and any event like watching sports, BBQs, potlucks and any general party! I also like to only make half of the recipe and then also make half of my Spinach and Artichoke Pinwheels. They are super colorful, tasty and everyone loves them! Buffalo Chicken Pinwheels taste best fresh and straight from the oven. However, you can make the roll and freeze it until you are ready to bake. 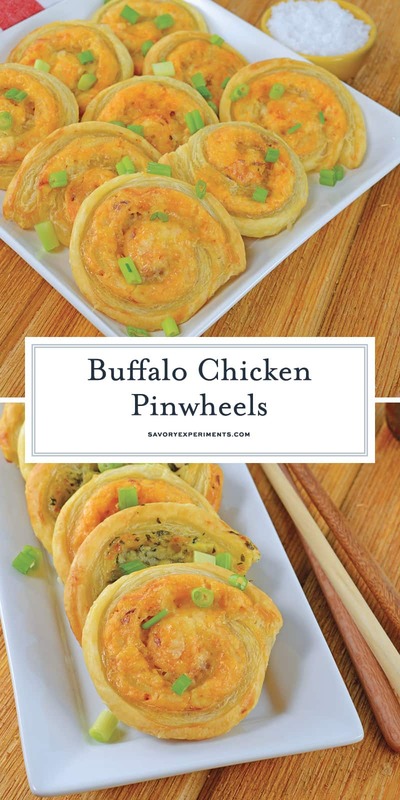 You can even make it months ahead of time and just keep your Buffalo Chicken Pinwheels in the freezer until you are ready to use them! Buffalo Chicken Pinwheels are creamy, spicy buffalo dip rolled in buttery puff pastry and baked to a crispy perfection. 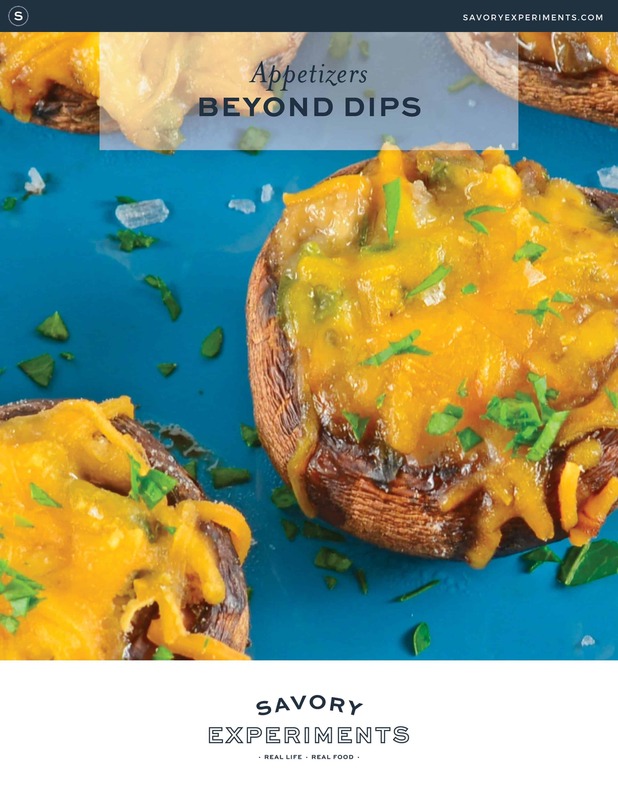 The perfect appetizer for any event! Using a stand mixer fitted with the paddle attachment or in a large mixing bowl with an electric hand mixer, cream together cream cheese, sour cream and mayonnaise until smooth. Add hot sauce, garlic powder, salt and pepper; blend until combined. Hot sauce can vary from 1/4 cup to 1/2 cup depending on your desired spice levels. Add slowly, tasting along the way. If you want a little extra kick, add 1/2 teaspoon cayenne pepper. Fold shredded chicken, cheddar cheese and scallions into mixture. Working with one at a time, unroll puff pastry sheet. Spread 1/2 of buffalo chicken mixture on the center of puff pastry, leaving a small, 1/4 inch seam on all edges. Roll sheet up. It does not need to be tight, in fast a little bit of slack allows the puff pastry to cook evenly. Repeat with second sheet. Wrap both rolls in plastic wrap and place into the freezer for 1 hour. Cut each roll into 15 equal slices. 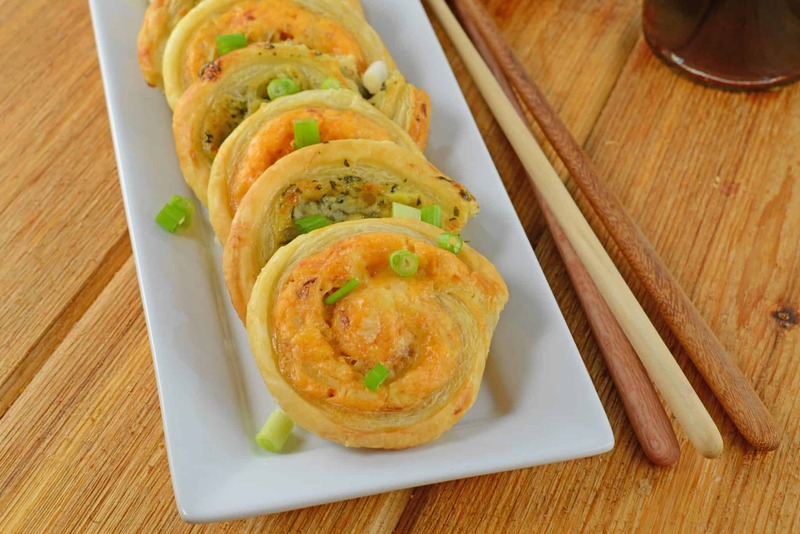 Lay buffalo chicken pinwheels 2 inches apart and baste lightly with beaten egg mixed with 1 tablespoon water. *You might have to cook them in batches or rotate in your oven, unless you have a convect mode. What if we need it for an event the next day? What if we cant serve it immediately ? Just simply reheat the next day.